This book is the story of my discovery of purpose. It was a long road to travel, but so worth the effort. I began by writing about the myths and messages we receive and absorb from others, from books, movies, from vague and generic ideas. I write about source of purpose…what components of life do we derive our sense of purpose from? Do we choose purpose, or does it really choose us? 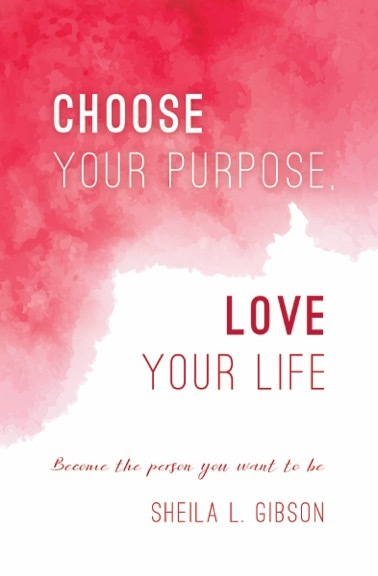 Do we choose purpose for ourselves, or do we allow family, expectations, talents, etc., to push us toward a professional role or even into relationships that define us? I realized, as I did this work, I had told myself a lot of stories about my purpose, or lack of purpose. I was playing a game of waiting, imagining that one day I would just know what my purpose really is…or, maybe, I would be one of those people who never define purpose for their lives. It’s easy to construct stories that influence decisions, perspective, and self-image, without recognizing we’ve believed a lot of things which have no basis in reality…we just believe as we do, because we have a sense of how life is supposed to unfold, how it works for other people, and we think we understand how purpose will appear in our lives. It’s my belief that we often equate “purpose” with profession or career, and that perspective really confuses the subject for many individuals. For those who don’t feel a strong career or professional calling, who don’t know what they want to “be,” the result is often a sense of being purpose-less. We wander from job to job, but don’t feel a sense of direction, and certainly don’t find meaning in work. There are so many components in life that can give a sense of purpose. I believe each person is empowered to choose purpose, and to change that choice when life circumstances change. I see a statement of purpose as a tool to provide direction and focus, not something to be restrictive or confining, as I move through life. As I share my story of discovery, I write about the tools and filters I used to help me think differently about this subject. I put it into in a template, or formula, and then discuss how others could take the same tools, survey their lives, and create a statement of purpose, based on the model I describe. My epiphany…that I am in charge of choosing my purpose…was profoundly meaningful. I believe crafting a statement of purpose is rewarding and fulfilling. It can provide direction and insight for many life choices, and help us see ourselves more clearly…always a good thing. My goal in writing this book was to share my insights with others. Purpose is often referenced in discussions of meaningful living. The realization that I could choose my purpose had a profound impact on me. It allowed me to view many choices in my life through a different lens, and gave me a framework to use as I make choices for my future…to bring a big picture view to my life. It’s my sincere hope that this book will provide similar “a-ha” moments, open up new potential, and help readers come to terms with the stories they’ve told themselves on this subject. I don’t have all the answers, but I’ve found a few, and I’m happy to pass on my new-found perspective to others who are struggling with this subject.